We’re continuing on with our school year, but I’m eying September with warily. Mid-month we’ll add more to our schedule, and I’m trying to piece together routines that will make it flow with less stress and more peace. I’m sure there’ll be some trial and error in the first month or so, but I do find that the addition of the scheduled classes forces us to use our time well. Plus, the entire reason the scheduled things are scheduled is because they are things that I know would fall through the cracks and be skipped often if I wasn’t committed to someone else to make sure they do happen. This week I snapped a few pictures of ways I occupied the little miss two-year-old. 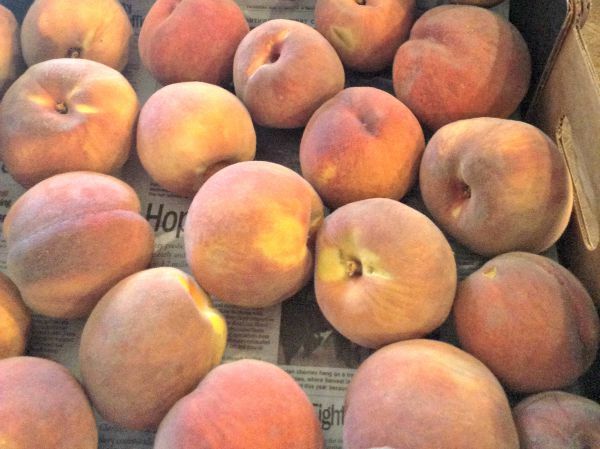 I didn’t get pictures of our peach picking because I was too busy keeping the 2-year-old from picking peaches up off the ground and the 5-year-old from pulling off the greenest fruit. But we managed to come home with 30 pounds after only 15 minutes of picking! I foresee peach pie in our future. I find it makes a huge difference to my energy levels, resilience, and weight when I drink plenty of water. Personally, I feel best when I drink 80-100 ounces a day. At the grocery store a month or two ago I saw Mason jars that I really liked. They are tall and straight, like ones you’d use for pickled asparagus. They fit my hand perfectly and I like the feel of them. So I bought the box and then ordered plastic screw lids for them, too. So now every evening I fill 4 20-ounce jars with water, 2 slices of lemon, 2 slices of lime, and 2 slices of cucumber. I put them in the fridge and the next day my water is cold and delicious. I use the same slices for 2-3 days, since I’m keeping them in the fridge. When I finish one jar, I refill it and swap it out for a jar from the fridge. 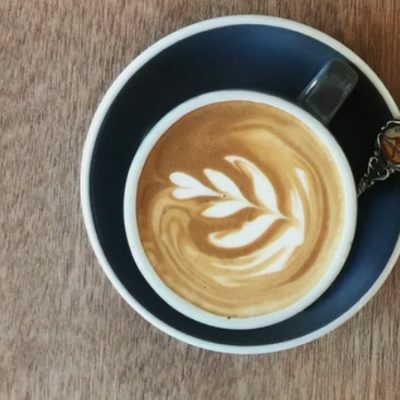 It’s been working out really well for me, especially when I make myself finish one jar before having any coffee! We do a 3-year history cycle, and it was on my summer list to change out our modern books for ancient books on the kids’ free reading shelf. We might be 8 weeks into the school year, but it was still August, so can I count it for “summer” anyway? 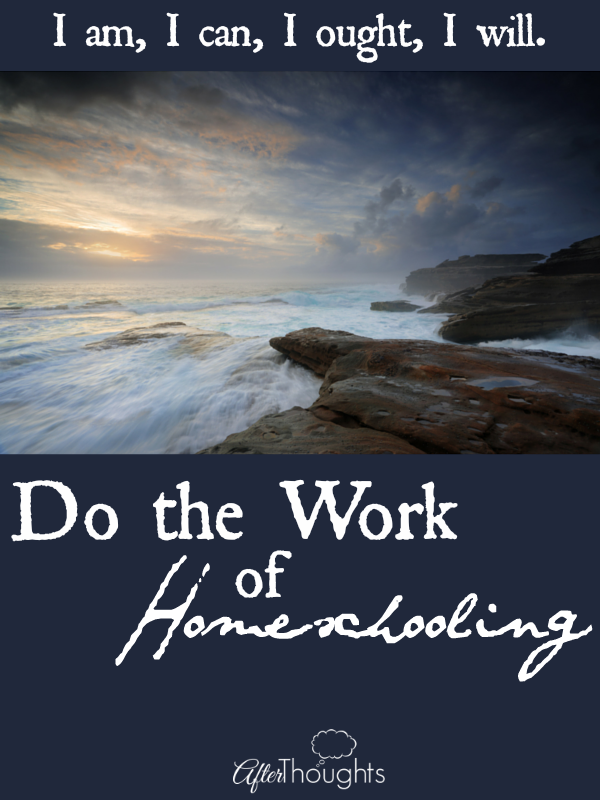 Ok, must read alert: “Do the Work of Homeschooling” by Brandy Vencel. Hopefully you already subscribe to her and have seen it, but if you haven’t, don’t miss it. Print it, save it to Evernote, keep it and reread it every week – I will be! 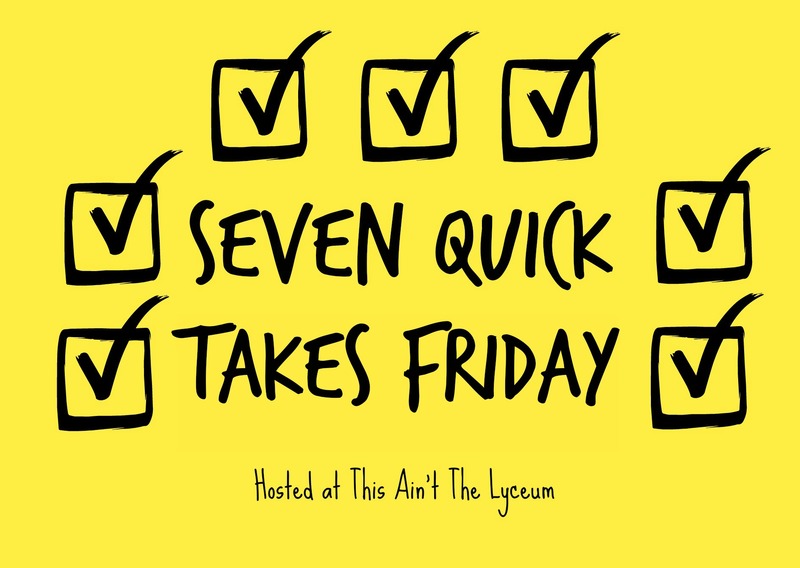 I took a week of ‘scoping, but I’m back at it this week. 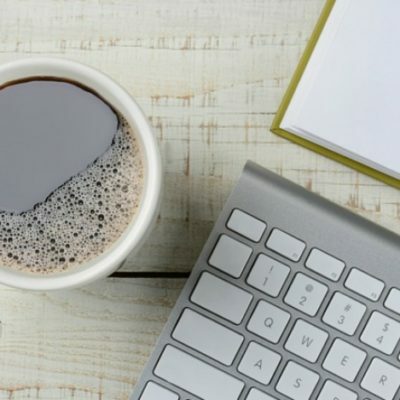 I’m talking all about various planning topics, because that’s what’s in my head as I finish up writing Work the Plan for Simplified Organization. 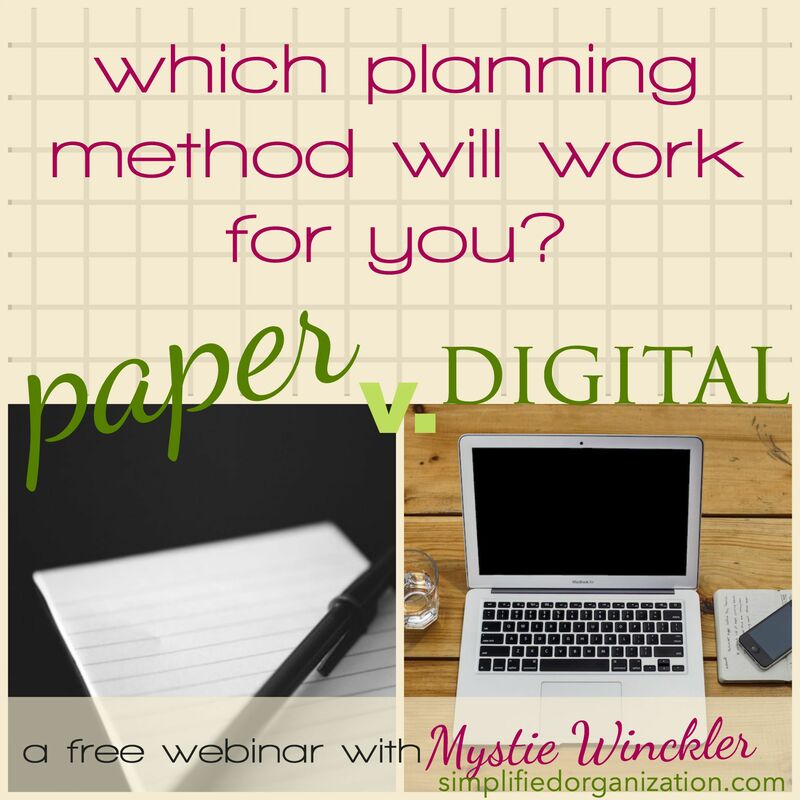 So the biggest thing this week was my live webinar on Paper v. Digital Planning! I had a blast and I hope it was as helpful for you as it was fun for me! Plus, there’s a link there to yet another sneak peek at a video in the upcoming course for you. Your water bottle system sounds great. I also make myself drink a water bottle before coffee. It makes a difference. That post of Brandy’s was amazing. 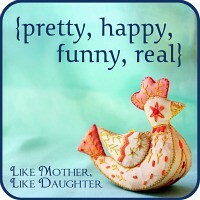 Maybe her best Mama post ever … And she has some excellent ones. Your scopes and webinars have been getting me back into the right frame to think about planning and your courses. Thanks! The peaches look delicious. I miss good peaches. It looks like a fun week. I was wondering if you finished reading the book “The Book Nobody Read,” and if so, what did you think? That book about the ancient Celts looks interesting…. Could you tell us the author or publisher, please. We have lots of books about ancient Rome, Greece, etc but none about the Celts.